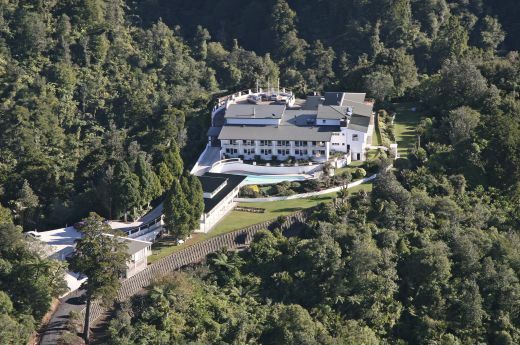 From the tip of the North Island to the foot of the South Island, Heritage Collection's one-of-a-kind properties are bespoke to New Zealand's most picturesque locations. 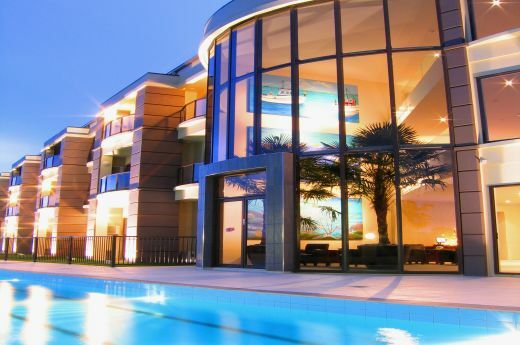 When you look out your window you may find yourself overlooking a magnificent coastline, taking in the breathtaking alpine landscape, or gazing out across tranquil lake waters. Your experience with Heritage Collection will offer a location that is entirely inspiring and uniquely special, paired with a superior standard of local hospitality that leaves you feeling entirely uplifted. Whether you're travelling for leisure or business, the Heritage touch elevates your experience from the warm welcome at reception, to the blissful night’s sleep you’ll enjoy in your beautifully appointed room. Heritage Collection means exceptional service you can rely on, in unique locations you will relish. 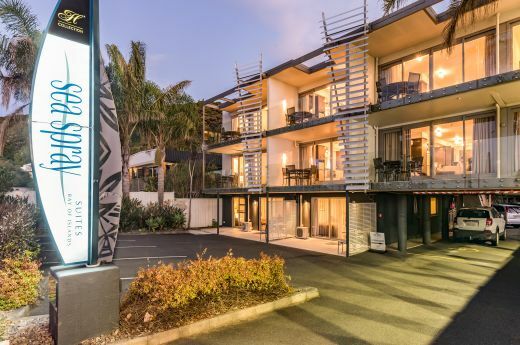 Sea Spray Suites, Heritage's Paihia accommodation is located on the famous Te Ti Beach which sits halfway between Paihia town centre and historic Waitangi – only 3 hours’ drive north of Auckland. 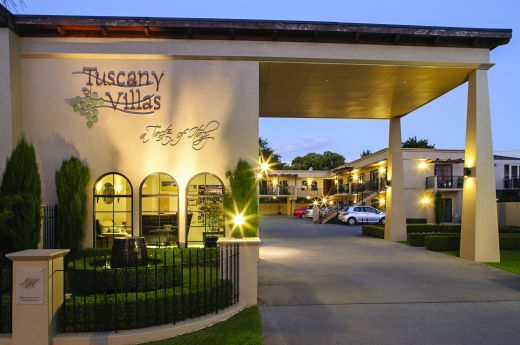 Set in Auckland's Waitakere Ranges rainforest with spectacular views of Auckland City and the Hauraki Gulf provide a breathtaking panoramic backdrop for your break away. 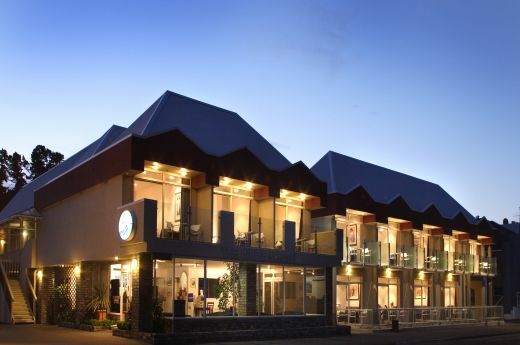 Heritage Collection The Reef Resort’s friendly welcome, unmatched service and comfort is ideal for romantic or family getaways, business stopovers or accommodation venue for your conference delegates right on the lake's edge. 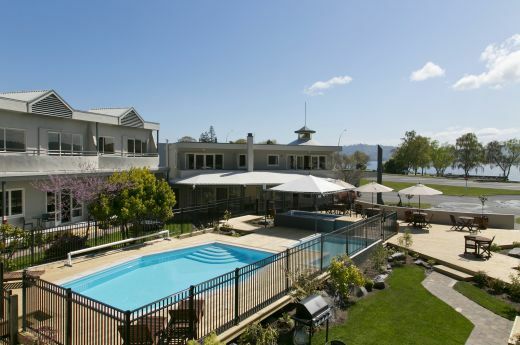 The Anchorage Resort, one of Heritage Collection’s Taupo properties, offers family friendly self contained accommodation over looking Lake Taupo. Heritage Collection Anchorage Resort’s new management and recent refurbishment offers you family & couples focused accommodation ideal for family or couples getaways, or business stopovers. 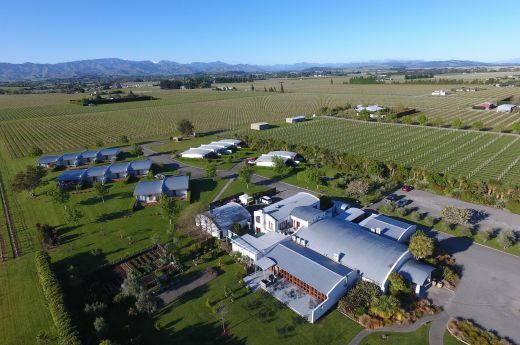 Heritage Collection Marlborough Vintners Hotel Blenheim offers guests luxury accommodation, conference facilities and an exquisite wedding venue set amongst the tranquil vineyards of Marlborough. 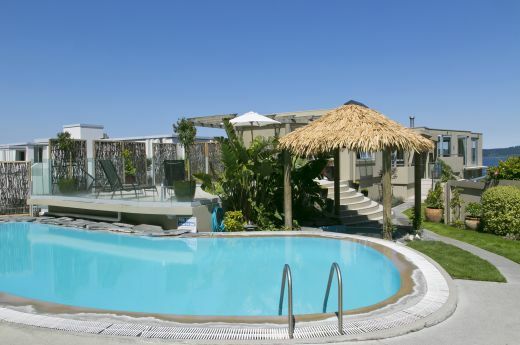 Marlborough Vintners Hotel offers relaxation and serenity while sipping on local-grown, world class Marlborough wine. 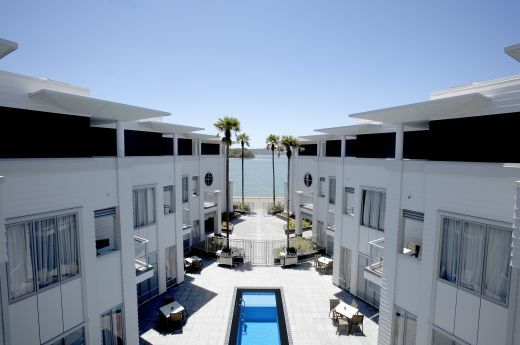 Set on the Esplanade in Kaikōura, Heritage Collection The White Morph enjoys commanding views of the ocean and mountains, and gives you access to all of the region’s experiences. 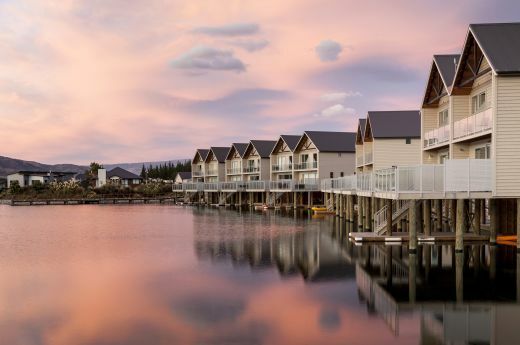 The boatshed themed accommodation has one and three bedroom villas with decks and access to the waterway, which are ideal for families or there are studio rooms on the upper levels for couples or business stays. Just 7 minutes north of Cromwell.